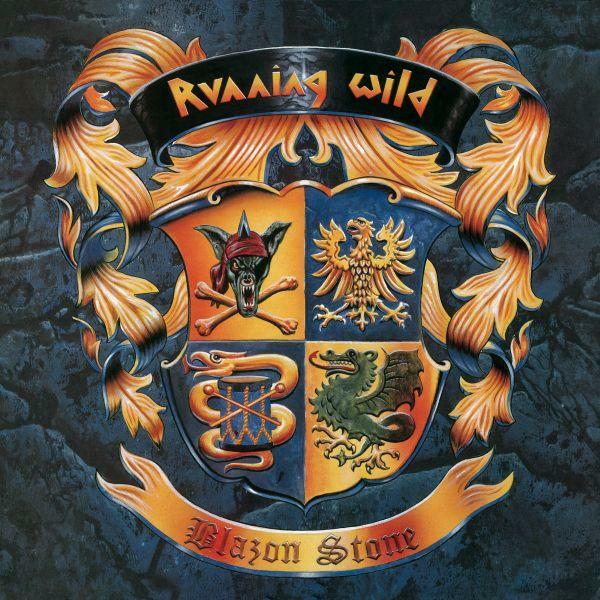 Running Wild - "Blazon Stone"
Running Wild’s sixth album was released in 1991 and proved to be their most ambitious to date. This thirteen track epic is a huge masterpiece which sees the band delve into the textbooks of history, this time around drawing inspiration from the Wild West with songs like ‘Billy The Kid’ and ‘Little Big Horn’. Singer Rock N’Rolf has been quoted as saying this record was their most successful, racking up some 440,000 sales worldwide. The album is fully re-mastered with new booklet, liner notes and interviews with frontman Rock N’Rolf.